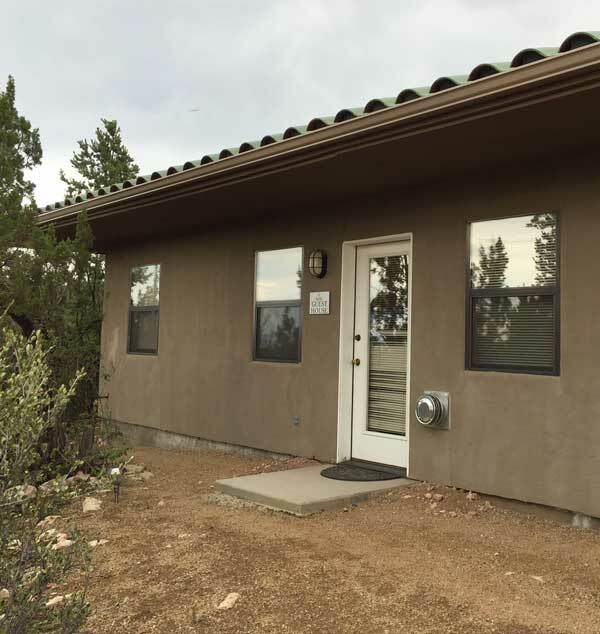 About: The Institute borders the Prescott National Foreset and camping outdoors is a wonderful option when the weather conditions are nice. Outdoor Camping is not available for personal retreat. There is a solar shower available in the camping area for those that wish to use it. You must provide all of your own camping / sleeping gear. 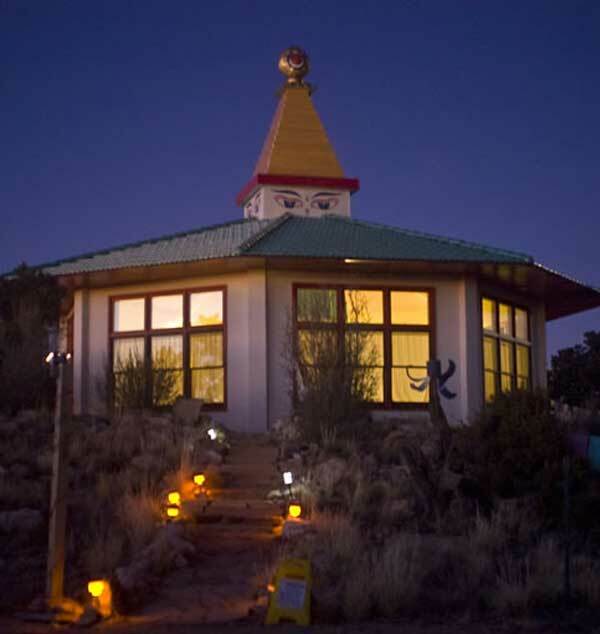 About: Sleeping in our main temple or in our indoor stupa is considered indoor camping. There is heating & cooling available in the temple, and heat available in the stupa. Both the temple and stupa are a short walk to the central kitchen and shower / restrooms. Indoor Camping is not available for personal retreat. You must provide all of your own sleeping gear of indoor camping. About: Our newly acquired beautiful 10 acre property was named Tashi Gatsal Ling by H.E. Garchen Rinpoche – Auspicious Isle of Delight. 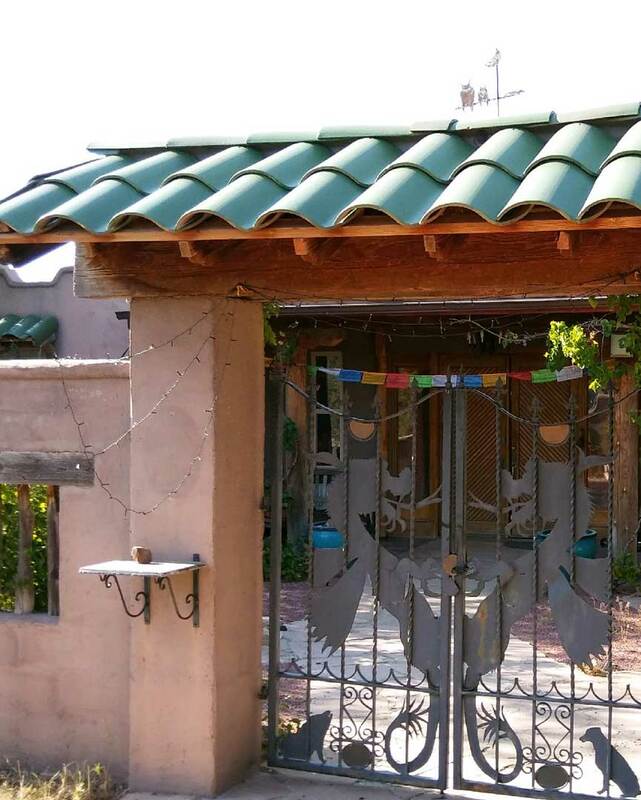 A custom built adobe style house with six bedrooms, a large common room, kitchen and 2 full bathrooms, Tashi Gasal Ling is perfectly situated in a private, quiet setting with lovely outdoor covered front and back terraces and with views of nature in each direction. Tashi Gatsal Ling provides new dormitory accommodation during our busy event season from November to January each year. For the rest of the year it will be used for our smaller group retreats. About: Our Guest House has two spacious bedrooms separated by a lovely shared common area complete with full kitchen, dining table and couch. 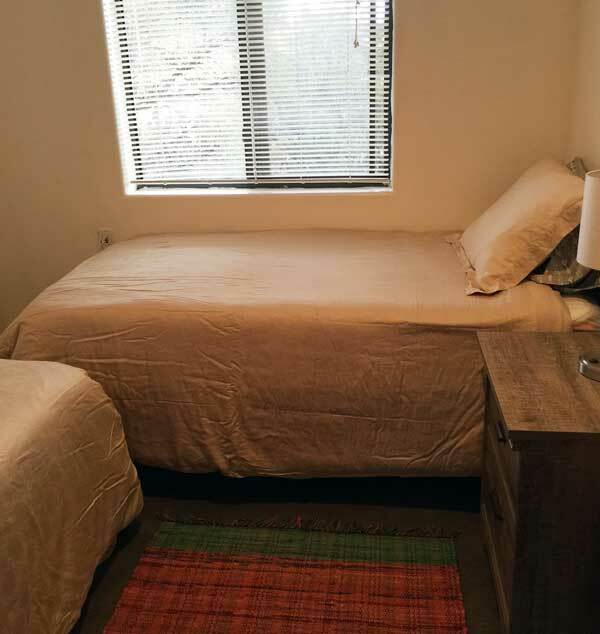 Each bedroom comes with a queen size bed, a twin bed, and a full bath. You may be sharing the house with someone else on silent retreat, but the common area is spacious enough to provide both privacy and isolation. Each room as a private shower with bath tub. 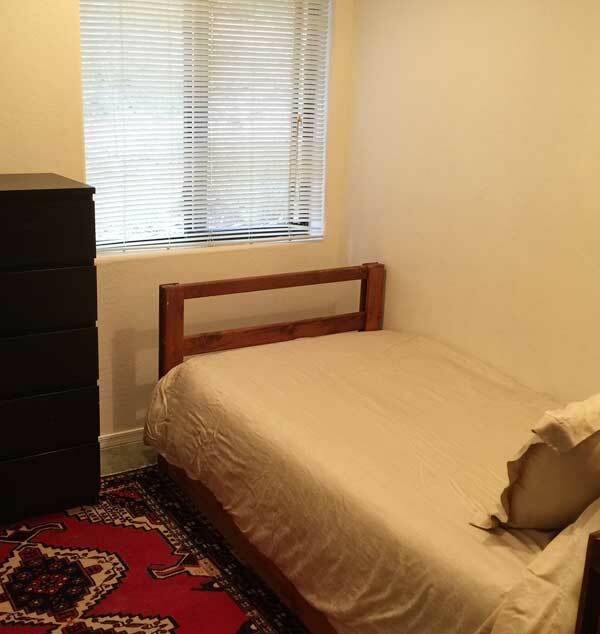 Cost: Nightly Rate: $60.00. Monthly rate: $880. 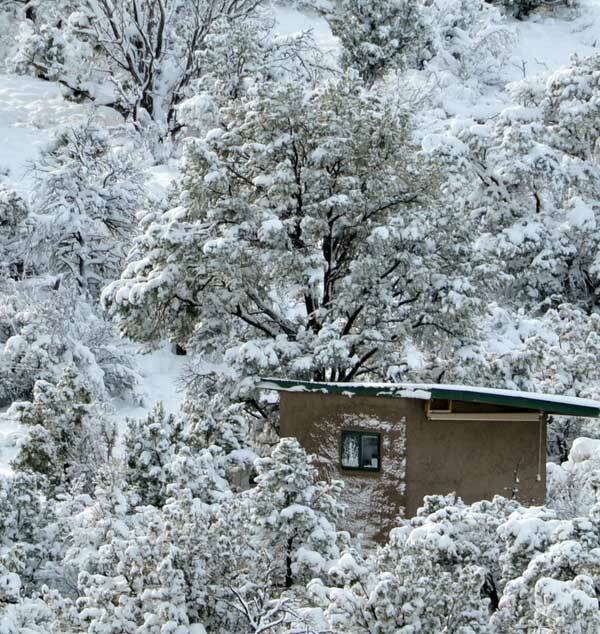 About:Our deluxe retreat cabins are all inclusive, like a tiny home, complete with heating, cooling, kitchen and bath. 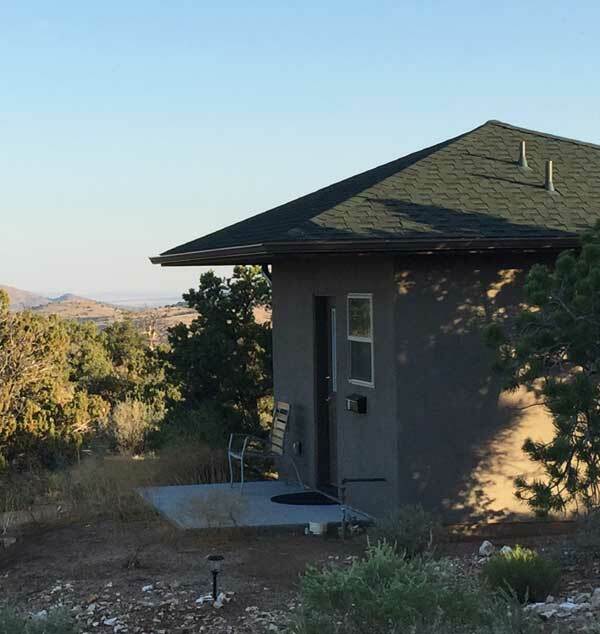 They have amazing views of the valley and stupa on the ridge, and are an ideal option for those wanting a completely self-contained retreat. About: Our Rustic Retreat Huts are approx. 10′ x 10′, and are ideal for practitioners who wish to practice strict retreat or who want the cost saving value of this minimalist option. All of our primitive retreat huts are a short walk shower/ restroom, and kitchen facilities. 1. Simple Huts, completely “rustic”, without power or heat. 2. Powered Huts with electricity. 3. Powered Huts with both electricity and heat. 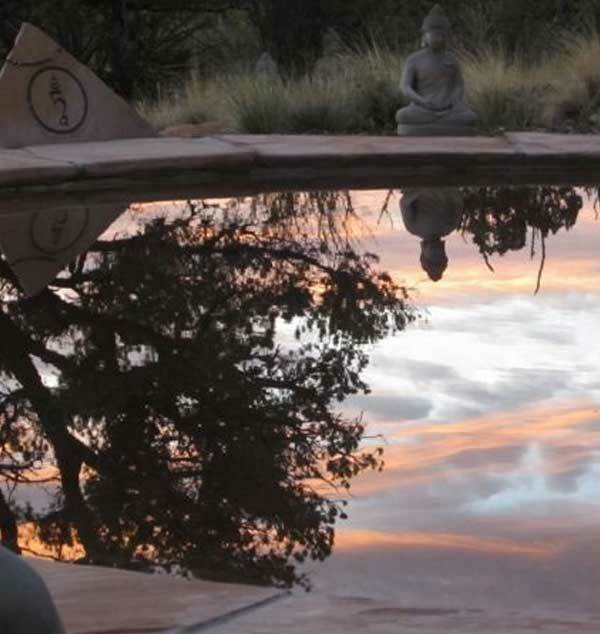 The facilities of the Institute are available only to persons who are accepted as students participating in a specific event or program relating to Buddhist studies or specific retreat. To reserve a bed in the dorm, a room in the guest house, a hut (primarily for retreat), or a retreat cabin (primarily for retreat) for short stays, full payment must be received one month in advance of arrival or upon reservation if less than one month remains. If you subsequently cancel your reservation, a refund of the amount paid minus a processing fee of one day’s rent will be made only if the bed/room/hut/cabin is rented by another person. If it is not rented, regretfully no refund can be made. 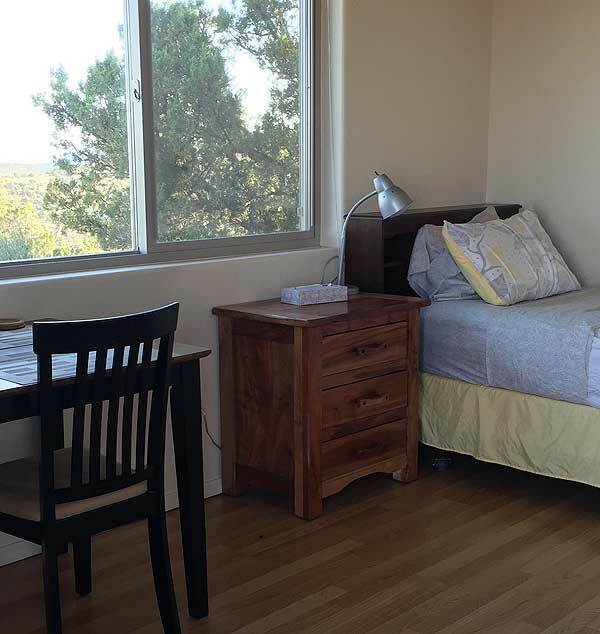 To reserve a retreat cabin, hut, a dorm bed, or a guest house room for two weeks or longer for formal silent solitary retreat under the guidance of our Retreat Master, a deposit of one month’s rent (one month is the minimum rent required to obtain retreat rate) is required upon reservation. If you subsequently cancel your reservation, a refund of the amount paid minus a processing fee of one day’s regular daily rental fee for your cabin/hut/bed/room will be made only if the cabin/hut/bed/room is rented for the full month by another person. If it is not rented, regretfully no refund can be made.